Bitcoin is dying. Anyone who’s been around crypto for more than a few years won’t have heard that for the first time. Recently CNBC’s Fast Money segment held a mock funeral for Bitcoin. As the longest bear market in the history of cryptocurrency continues, the ironically titled business show proclaimed the end of Bitcoin. There has been no shortage of crypto positive price predictions from guests of the show, particularly influential heavyweights like Galaxy Digital’s Mike Novogratz and Fundstrat’s Tom Lee. Yet another declaration of Bitcoins death arrives as traditional US markets like the S&P 500 inch closer to new all-time highs. To their credit, the CNBC show transitioned to bull Brian Kelly who argued the case for the king of crypto. Fortunately, Kelly has done his homework on Bitcoin. This isn’t the first time the market has seen such drastic declines. Kelly went on to explain, “You know when that Bitcoin bug came on, that was just around the highs. So when we start to declare a funeral and things get really horrible, sentiment is approaching the lows.” Wise words as anyone who’s held through a major Bitcoin decline knows. While not fully shown on this chart, Bitcoin’s first major bust was actually its worst. From June to November 2011 Bitcoin dropped a whopping 93 percent. The following two substantial declines were 57 and 83 percent respectively. That kind of volatility would scare the hell out of anybody. 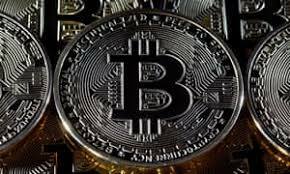 It’s no surprise then that mainstream media have called the death of Bitcoin, around 347 times in fact, according to some. And while you often hear those kinds of criticisms in many places around Internetland and indeed on the streets, many people fail to realize one important thing: this is an exponentially bullish market. In other words, buying and holding for the long term would have netted you returns in excess of ten, twenty, or even hundreds of times your investment. Unless your timing is prophetic, getting rich quick is not a viable strategy. Maybe the HODLers are really onto something here. The reality is that nothing gets done when prices are up double-digit percentages from day to day. In crypto bull markets, companies that build portfolio trackers are probably smiling from ear to ear. Twitter is littered with screenshots and bragging contests. It’s almost impossible not to make money. Don’t hate on the bear though. Sure, speculators feel the pain when it arrives, but arguably the most important contributors to this movement (the developers) are actually getting stuff done. Cryptocurrency exchange Coinbase even cheekily tried to file a patent for the popular crypto industry development term “BUIDL”. They later abandoned the idea, but it just goes to show that the industry needs a healthy balance between building products and services and seeing the value of them rise in the long run. Perhaps the biggest issue in defining the success of Bitcoin is in the metric that’s used to measure it. Unfortunately, a lot of naysayers focus purely on the price. That’s a somewhat superficial way to measure blockchain and its many functional parts. It’s time to dig a little deeper. Amongst a number of other useful analytical tools that anybody can use is the daily transactional chart of Bitcoin. This records the number of confirmed transactions on the Bitcoin network since it went live in 2009. Notice anything? Even though the price of Bitcoin trended lower in 2018 the daily transactions did not. In fact, quite the opposite happened. Adoption continues to grow and is once again approaching all-time high usage. This makes complete sense when taking into account the financial situation of several countries. South Americans in Argentina and Venezuela continue to transact in crypto more than ever before. Staggering inflation rates are forcing more and more citizens around the world to turn to alternative stores of value defying this so-called crypto winter the market is currently experiencing. In addition, other metrics like hash rate, while off of their highs, are still showing a healthy overall picture of the Bitcoin ecosystem. No metric is perfect but widespread adoption is arguably the grander vision of Satoshi compared to Bitcoin’s speculative value.